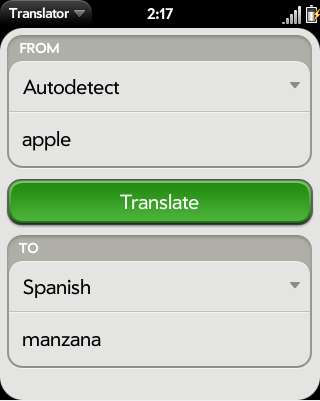 Worldwide Translator is a powerful user friendly translation tool that allows you to translate words and even sentences! Support for English, Spanish, Chinese, Dutch, French, German, Greek, Italian, Japanese, Portuguese, Russian and Turkish. Translator gives you the access to a huge online multi language dictionary!